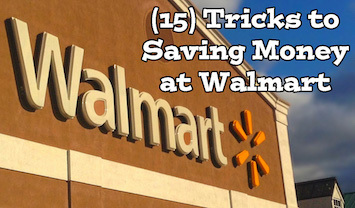 One of the most popular places to shop and save money has always been Walmart. While we find their prices are normally the lowest in town this is not always the case. Lots of people have emailed us and have asked for information about shopping at Walmart and tips and tricks to maximizing saving money there. As a result we put together the following list of topics and links to resources to help you get the information you want. Keep in mind that not all these tips are necessarily going to work for your family, budget and lifestyle. Pick and choose a few to try and see how it goes. We do not advocate trying too many things all at once as it can be difficult to see which ones are working best and can be, quite frankly, just too stressful. So start small and track your savings. 1. Using Coupons at Walmart – You can easily redeem manufacturers printable (and mobile) coupons at Walmart which can be found at various websites. Click HERE to see our coupon resource section which provides direct links to our favorite free coupon websites. 2. Walmart’s Current Coupon Policy – Before you start using coupons on Walmart it might be best to familiarize yourself with their coupon policy located HERE. This way you are educated in the do’s and don’ts of couponing at Walmart. 3. Does Walmart Double Coupons? – At the present time Walmart does NOT double coupons. There are less and less retail stores willing to double a manufacturers coupon and you can click HERE to see an updated list of them and their locations. 4. 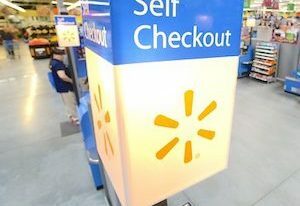 Can You Use Coupons at Walmart’s Self Checkouts – Yes! But there are some restrictions such as no more than (40) total coupons or $50 in total savings (without manager’s approval). 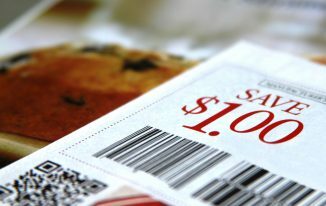 Our advice is if you are redeeming a large amount of coupons you may want to consider using a regular checkout lane. Click HERE for more specific info on this topic. 5. Extreme Couponing at Walmart – While we do not consider ourselves ‘extreme couponers’ and we do not advocate using coupons just for the sake of saving money (not actually needing the product) we do know that there is a large group of people who use Walmart to extreme coupon. If you want to learn more about this and get more details on how it works click HERE. 6. Finding Freebies Coupon Deals at Walmart – Looking for the newest freebie deals at Walmart? Click HERE to get them now! 7. Penny Shopping at Walmart – There is a large Internet following for ‘penny shoppers’ who find coupon / sale deals that allow them to purchase various products for only pennies. Click HERE for more info and detail on this practice. 8. Price Matching Item at Walmart – This is one of our all-time favorite money saving techniques that works very well at Walmart. Basically Walmart will price match any competitors price for a ‘like’ item and yes, this includes Amazon Prime prices. 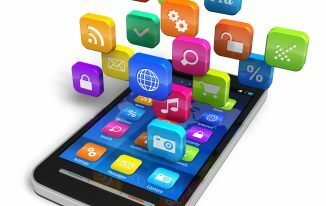 This process can be done all through your phone and is super easy. Simply find the item cheaper somewhere else and show the clerk at checkout the lower price. They will override the price (on occasion needing manager’s approval) and you are on your way. 9. 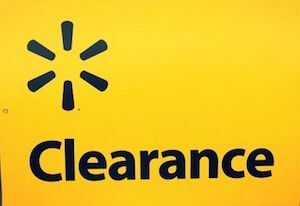 Walmart’s Clearance Markdown Schedule – Walmart marks down clearance items on a schedule that is based on the store location of products. For example, the pet section has a specific day of the week that clearance items will be marked down. If you know which day it falls on you can get there early to avoid being shut out on any good deals. These are obviously hit-or-miss and you never know what will be marked down (if anything) or if you need or want it. Click HERE to see the current schedule that Walmart is reportedly using. 10. Walmart Saving Catcher Program –This is a super way to earn even more money back at Walmart. Simply download the app and scan any Walmart receipt. If an item was offered cheaper by any competitor then you will get an eGift card for the difference. More about getting signed up for this program can be found HERE. 11. Using Brick Seek to See Walmart Inventory – This is a new program that we have been using and it has worked out pretty good. It allows you to see current reported inventory levels for specific products at your local Walmart and Target. This way if you are searching for that must-have Christmas present (can you say Turbo Man) you will not waste your time going store-to-store only to learn that it is out of stock. More about Brick Seek can be found HERE. 12. 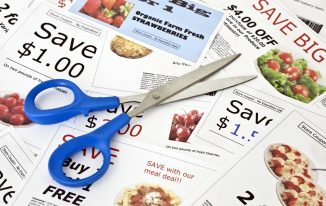 Viewing Walmart’s Weekly Sales Ads / Flyers – Before you head out to your local Walmart take the time to look over their current sales flyers to look for sales offers that you can ‘stack’ with coupons in order to maximize savings. 13. 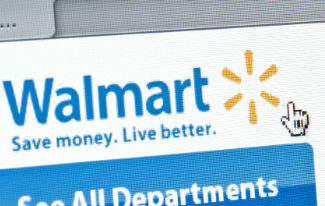 Finding Online Deals at Walmart.com – Just because you found what you think is a good deal at your local Walmart don’t hesitate to take a few minutes to look at Walmart.com to see if the item is cheaper there. You would be surprised just how often that is the case (and this is not just at Walmart). If you find it cheaper on their website then Walmart will match the cheaper online price- just ask the checkout clerk. 14. Try Walmart’s Great Value Generic Brand -Switching to generic brands can save you hundreds each year and Walmart’s Great Value products are a good alternative to their name-brand counterparts. Give them a shot and see how much you can save. 15. Walmart’s New Grocery Pick-Up Program – We have not tried this feature yet but lots of people swear by it. During the holiday rush this can certainly be a time and aggravation saver. More info and participating locations can be found HERE.